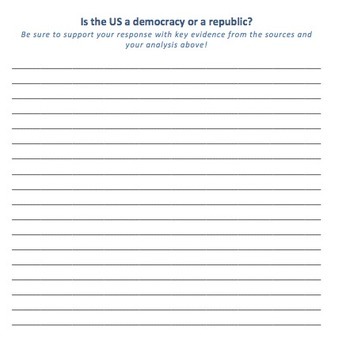 Students will look at sources to help them determine what type of a government they think the US really has. 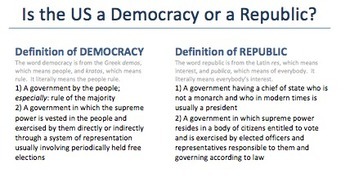 (I share with students my opinion, but ask them to determine this on their own). 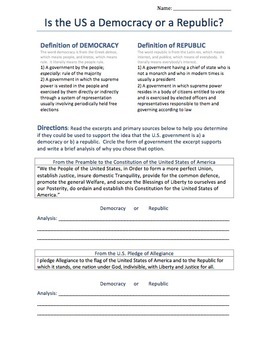 This activity asks students to analyze short primary sources, explain their analysis and compare and contrast the characteristics of a democracy and a republic- All in one! 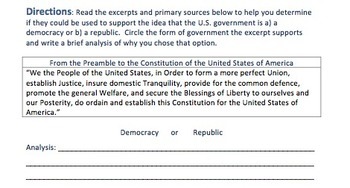 If your students haven't been introduced to a DBQ yet, but need the practice, this will help prepare them for the many skills involved in a DBQ. Great for teaching the content through primary sources and integrating Common Core Standards into your lesson!